As Spring/Summer 2014 collections have been flooding out since the fashion week in New York started 2 days ago, I am feeling the strong urge of pulling off head-to-toe white looks more than ever. Although the collections are targeting next spring/summer, I find them completely wearable for this fall as well. There is no harm in getting a bit of head start, right? 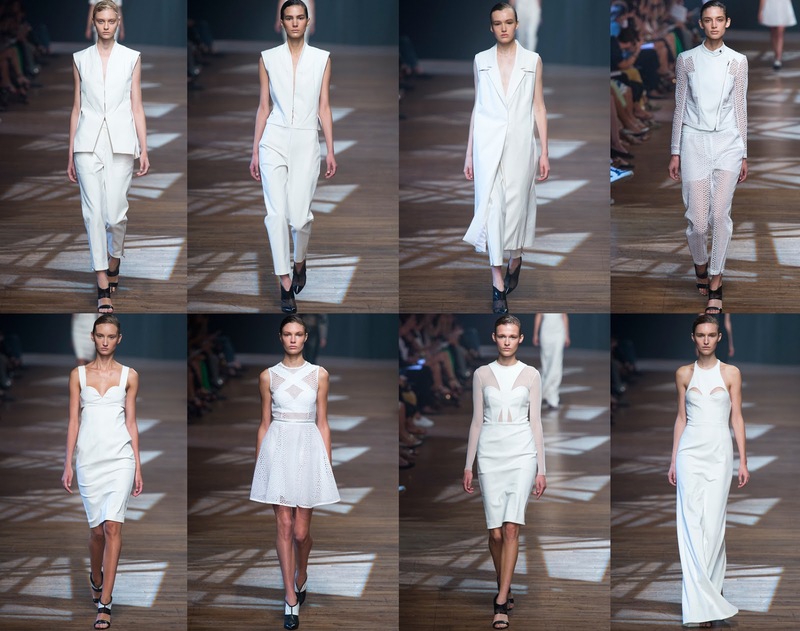 Here, take a look at Yigal Azrouël's new collection which is a perfect example of how to put all-in-white looks together.